If you developed ASP.NET Core web applications chances are you are already familiar with Tag Helpers. It is quite common for ASP.NET Core applications to rely on the tag helpers to render forms and form fields. So, a view typically contains many tag helpers as well as standard HTML markup. You can improve your development time experience with the tag helpers in variety of ways. This article discusses a few of them. 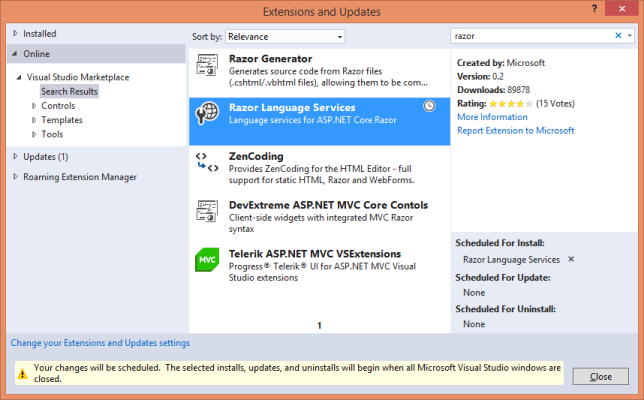 Now you can get IntelliSense in the razor view files (*.cshtml). 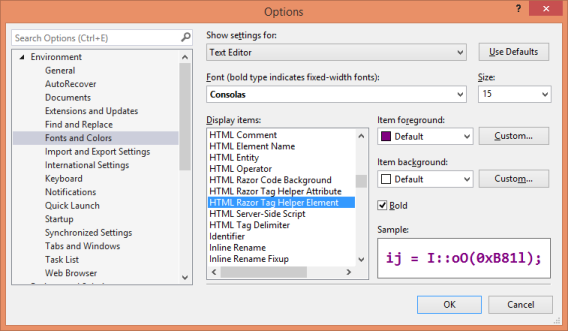 For example, the following figure shows the IntelliSense for the form tag helper. If your view is using a lot of tag helpers intermingled with a lot of HTML markup you may find it better to highlight the tag helpers with different font and colors. 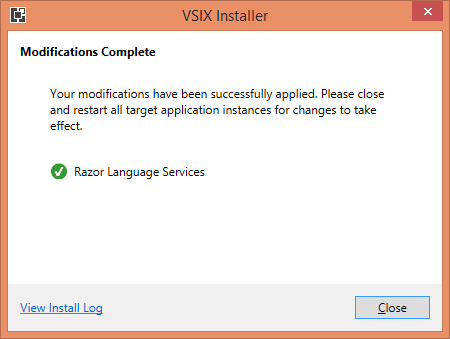 Luckily, Visual Studio allows you to do that. Go to Tools > Options and then Fonts and Colors under Environment node. You can use "HTML razor Tag Helper Element" and "HTML razor Tag Helper Attribute" settings to customize the look of the tag helpers. The following figure shows a sample customization in action. As you can see tag helper tag as well as asp-* attributes are being shown in different color and font size. As you can see ! character has been added to the start and end tags of the <form>. This way tag helper attributes such as asp-action and asp-controller won't be applicable for this <form>. As you can see you no longer use <form> tag. Instead you use <taghelper:form> tag. The above code adds only the FormTagHelper to the views. That way only <form> will be considered as tag helper and IntelliSense for that will be shown. Assume that you have added all the inbuilt tag helpers to a project using the _ViewImports.cshtml file. You want them to be made available to most of the views except a few. How do you disable the tag helpers for those views?Using @removeTagHelper directive. The following code shows how that can be done. The above code removes the FormTagHelper from a particular view (you need to place this code at the top of that view). For a detailed introduction to ASP.NET Core tag helpers read the official documentation here.